After the end of hot summer, we welcome the autumn temperatures. That is when the heating bill rises up.The constant price rise of fossil fuels, oil and electricity have left no choice to people. Many people are looking for alternative ways to replace their old heating sources. Wood pellet stoves are gaining popularities in many countries like U.S.A, Canada, U.K. 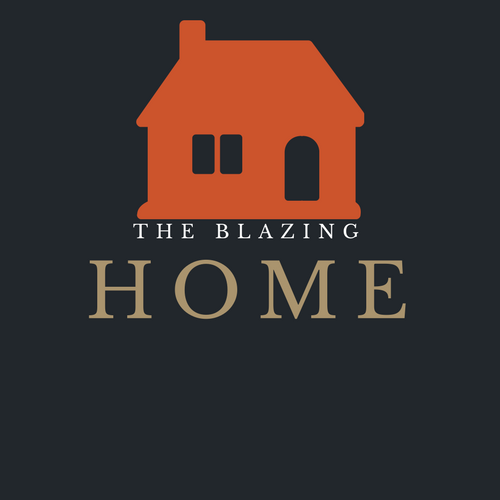 It is a modern heating solution for home, small cabin, and other living spaces. The question may pop up in my mind, “Why is the use of pellet stove increasing day by day?” Well, the simple answer that you may enjoy may benefits if you use a pellet stove rather than other heating source or heater. 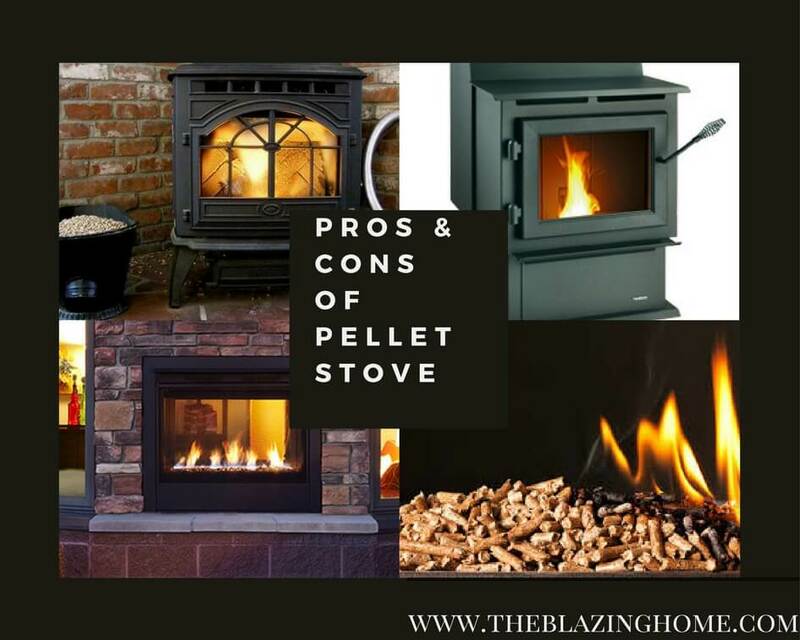 Check out the pellet stove pros and cons and you will find why you should convert to the pellet stove. We are trying to highlight those numerous pros and a few cons, based on some available models. The operation of the best pellet stove is very simple. Pellets load are loaded in a fuel hopper into the stove. Hopper usually holds 35-130 lbs of pellets, which will last one day or more. There are many benefits if you add a pellet stove to your room. Also, some drawbacks. 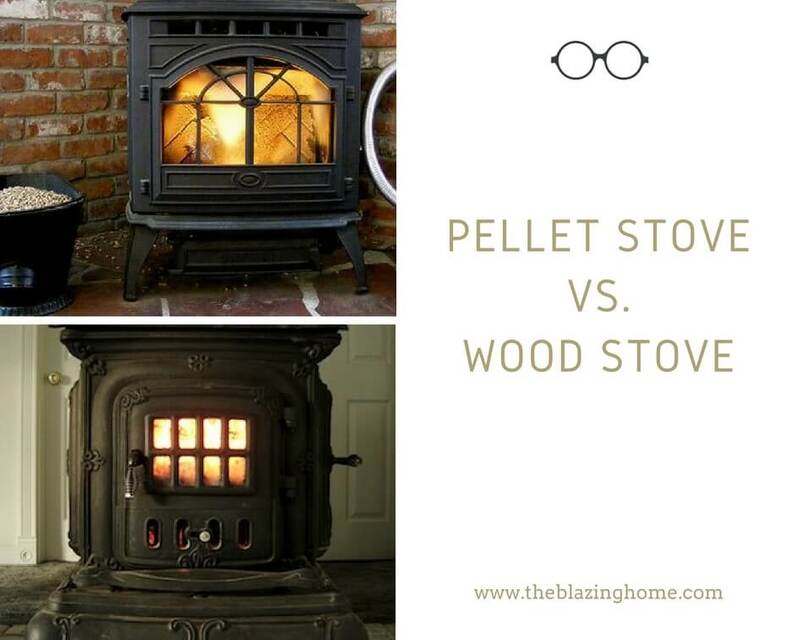 Read carefully, so you can decide if you want to add a pellet stove in your room. Pellet stove has a very good efficiency among all other types of home heating systems. Pellet stove certified by U.S. Environmental Protection Agency (EPA) likely to be found in with the rating of 70% to 83% heating efficiency range. On the other hand, the heating capacity of a good pellet stove model has ranged between 8000 and 100000 British Thermal Unit (BTU) per hour. For a standard room of 2000 square foot, normally you may need a pellet stove of 60000 BTU. 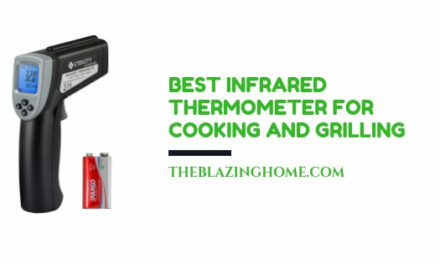 So this heating appliance is very much suitable for large home, apartment or condominiums. Use a BTU calculator to measure the required BTU per hour for your room. Pellet stove emits a very low amount of smoke and toxic chemical compounds compare to wood or gas stove. Burning fossil fuel gas, oil, wood, and coal produce greenhouse gases like carbon-dioxide (CO2 ), Carbon monoxide( CO) etc. pellet stove is not carbon neutral but they produce a very low amount of carbon gases. The executive director of United States Industrial Pellet Association (USIPA) said that wood pellets are low cost and low carbon alternative as they are lower in sulfur, nitrogen, chlorine and other toxic chemical gases than traditional fuel fossil. Also, Pellets are produced from recycling the biomass waste like sawdust, wood waste, nut shells etc. Thus it helps to keep the environment clean. Does pellet stove need high quality and high costing chimney to vent the gases? The answer is no. it doesn’t need high costing chimney installation like a wood stove. Best Pellet stove only requires an air vent pipe to vent residual gases and smoke produced by burning pellet. The installation of air vent pipe is very easy and simple. You have to dig up a small hole in your wall to set up the vent pipe with your stove. This vent pipe will send the toxic gases outside your room. One can easily install it without hiring a professional. Just follow the instructions given in the user manual of the specific model you purchased. But to maximize the efficiency of your pellet stove, you should consider hiring a professional. We recommend you to hire a certified professional from National Fireplace Institute (NFI). National Fireplace Institute has a list of Professionals whose can carefully conduct chimney installation to floor protection. You can easily get a pellet stove from your nearest shop or Amazon.com. 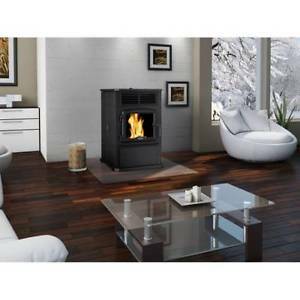 The basic price of a pellet stove is between 1000$ to 3000$. It is less expensive than other existing heating sources. Moreover, you don’t need to add any chimney or special ventilation. So, the cost easily comes in your budget. Pellet stoves are easy to maintain. They produce less smoke. So, there is no fear about building up creosote ( buildup that deposits in the flammable chimney) with pellet stove. Don’t worry about maintaining and replacing the catalytic converter, which is a prior job at any other stoves. The manufacturer advises to regularly clean and inspects motor and blowers. Always remove unused pellets from the hopper at the end of winter season. It will reduce the chance of rusting inside the hopper. If you connect your stove to a chimney, then clean the chimney for preventing soot buildup. 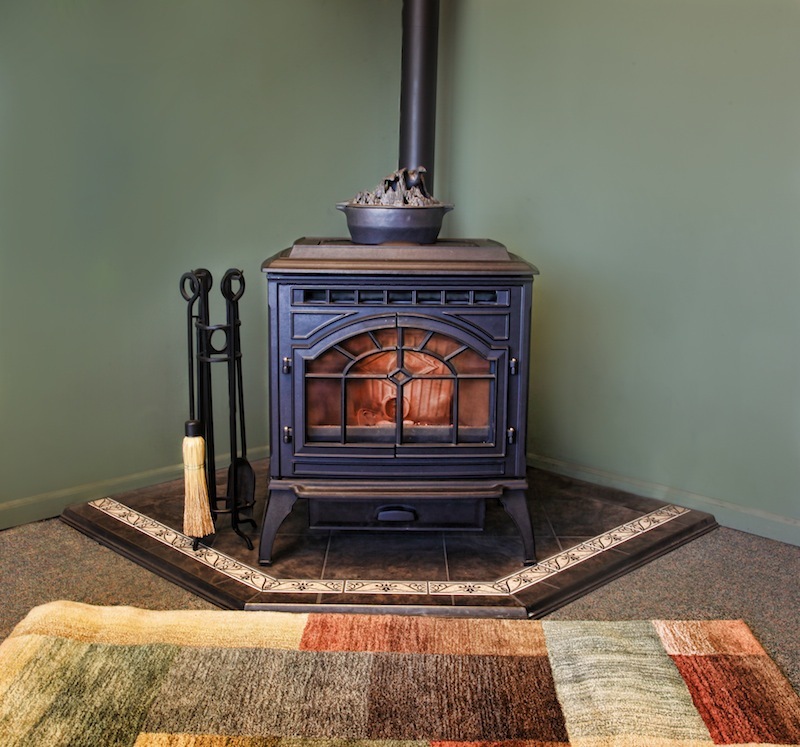 Pellet stoves will give you clean-burning than cordwood or fossil fuels. A pellet emits less smoke than wood. A combustion fan constantly flows air to burn the pot of pellet stove. So the pellets burn well and produce less smoke. Moreover, pellets burn slowly and completely. Generally, woods burn partially and rarely does it burn complete wood logs. This kind of scenario rarely happened with pellet stove. Burning wood pellet is less expensive than burning fossil fuels, wood, and electricity. If you use those, they will cost you more money than wood pellets. Instead of the heating whole house, if you heat a few room, then you can save some money. You will get a good discount if you buy pellets in bulk. Wood burning stove needs a good storeroom outside your home. This Stacked wood attracts snake, mice and various pest & insects. Pellets are easy to carry. So, you don’t have to store them inside your home. Some pellet stove makes little noises, for which you may find it annoying. Two-component of pellet stove are mainly responsible for this kind of sound. One is the motor to combustion air and another one is blower fan. Sometimes the belt of blower fan makes the sound. The sound is not unbearable. After some days you will be adjusted with this sound. But, if you find the sound louder day by day, then it’s you manufacturer default. At that time, without any delay contact the customer care department of the manufacturer. Pellet stove requires a little bit of electricity to run. Fans, electric controller, and the pellet feeder need electricity to maintain the stove. It uses electricity worth 9$ per month. It will not run without electricity. Must reserve a backup power source to maintain when there will be no electricity. Pellet stove has several parts that require regular maintenance. It has parts like motor, blower fan, temperature sensors and hopper feed. Some may find those complex. Need annual maintenance, which may cost you money. The price of pellet sometimes looks expensive. Those who live in rural areas cannot get the regular supply of fuel. Places like those have higher prices of the pellet. If you buy pellet on a 40 lbs bag, may cost you more money. Always buy in a bulk to save some money. Every time you buy pellets in a 40 lbs bag, you will get a plastic bag. So if you buy on a regular basis you will get a lot of plastic bags. Plastics are not very suitable for our environments. You can’t decompose plastic without burning it. Burning plastic bags may produce many dangerous gases that are the root of causing global warming. Also plastic is the main culprit of causing water and soil pollution. But wood pellet manufacturers now use paper bags rather than using harmful plastic. So, while purchasing wood pellet for your pellet stove, you must consider pellets that comes with paper bag. The pros & cons of pellet stove seem well balanced. The drawbacks of pellet stove as we provided above are not a dealbreaker. So, it’s up to you, if you want to buy or not. In our opinion, pellet stoves are the best source for heating your home and other living spaces. I was wondering could you tell me if burning pellets is toxic in your home? It will be very dangerous to use a pellet stove without any ventilation system (vent Pipe) as burning pellets produce toxic carbon monoxide gas. You can easily install a vent pipe in the pellet stove. If you use proper vent system, you can place a pellet stove anywhere in the room. Also, you have to burn standard or premium quality pellet every time. Low-quality pellet produces more smoke and toxic gases.